When the ballies tell you how Fence used to cook back in the day - it isn't just selective memory that's making them tell you it was an insane wave. It was. 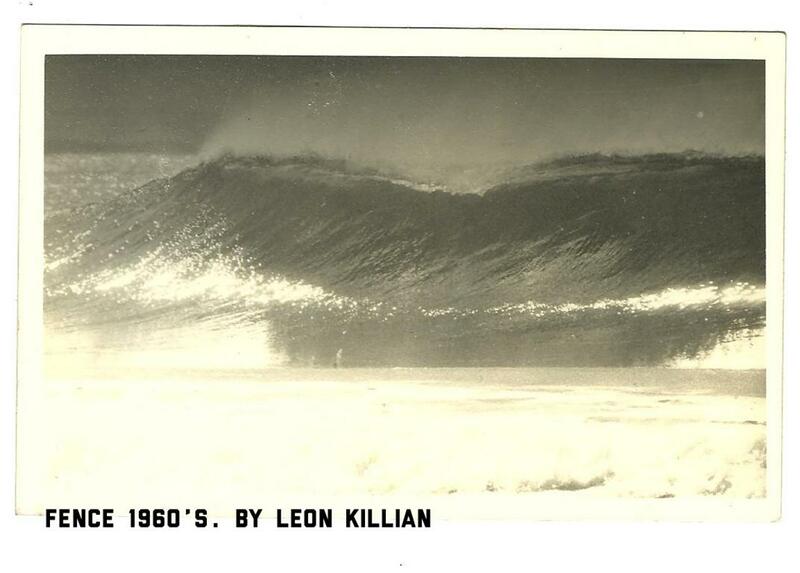 Probably the best wave in PE by a loooong shot. So what happened? The sand did, that's what. More specifically - too much sand. 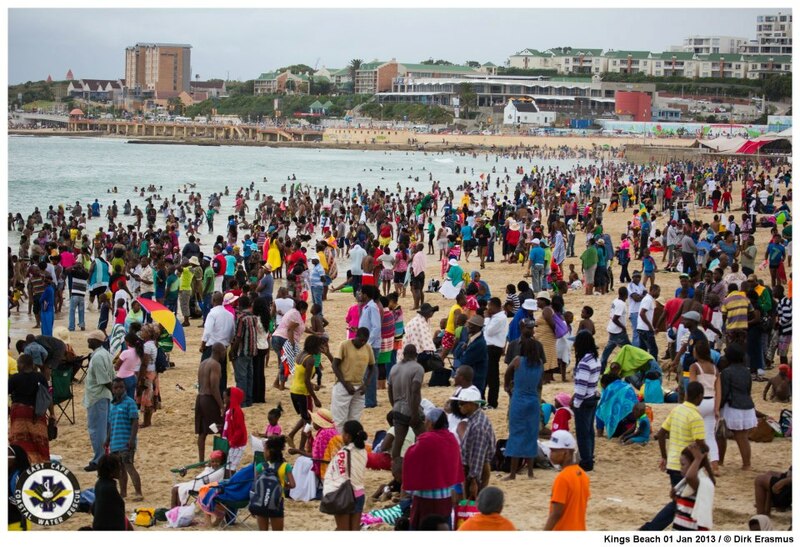 Kings Beach just grew, and grew, and grew. And as it grew, so the wave went pear-shaped. The Humewood/King's Beach area was a farm known as Papenbiesiesfontein. The coastline between Shark Rock Pier & where the harbour is today was mainly rocky, with patches of sand. Funny enough the main bathing area back in the late 1800’s was actually North End/Deal Party!! The first breakwater was built in 1855 just south of the Baakens river mouth, and sanded up almost immediately. So this got the ou's to build the first jetty at the bottom of what is now imaginatively called Jetty street in 1870. The Oom Pedro jetty was completed in 1920, and this is what forms the basis of the present breakwater. The harbour as we now it today was built between 1929 and 1933. The effects were immediate. Within a year the beaches at North End/Deal party had almost disappeared, and sand was starting to build up at Kings Beach. 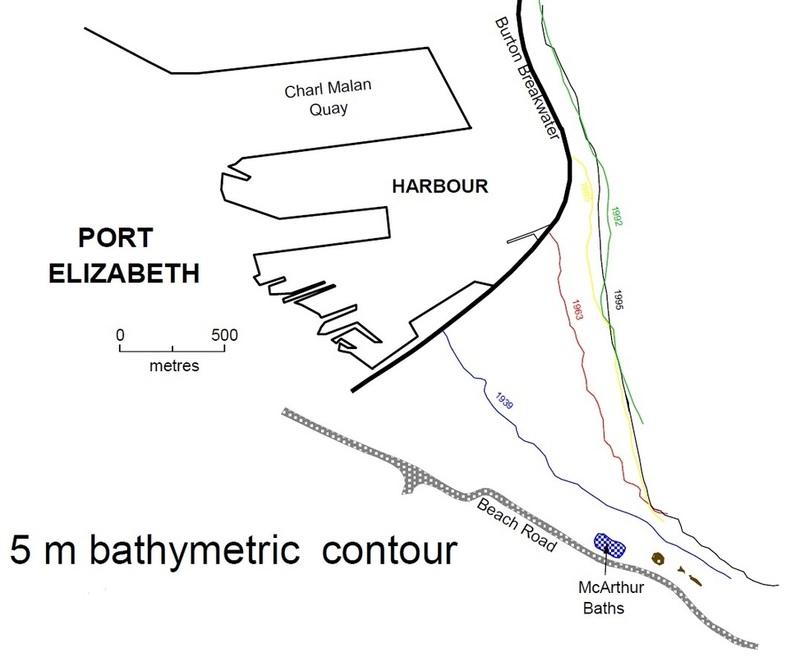 The first accurate record of the shoreline in the area was done in 1877, and shows the high water mark roughly parallel to the present Humewood Road and Beach Road from the city right through to Humewood Beach. Yip, you read that right. The sea used to be right up to where the road is today. So as you come around the S-Bend you woulda been right on the beach, with the water just a coupla meters away! Get your head round that for a minute! The present large expanse of King's Beach started to form once the harbour wall was completed in 1933. Since then there has been a steady progression of Kings Beach into the sea as sand moving along the shore in a northerly direction is trapped by the breakwater wall. Along the harbour wall this progression amounts to approximately 850 m between the years 1933 and 1979, or about 18 m per year! The beach finally reached its maximum offshore extent in the early 1990's, when it drew level with the base of the Burton Breakwater. Sand now started moving around and into the mouth of the harbour, meaning regular dredging had to be done to keep the harbour entrance open. So how did all this sand screw up the surf? So there you have it - why Fence is just a shadow of her former self. To restore her to glory would mean getting rid of the 8 million cubic metres of sand that have collected there! 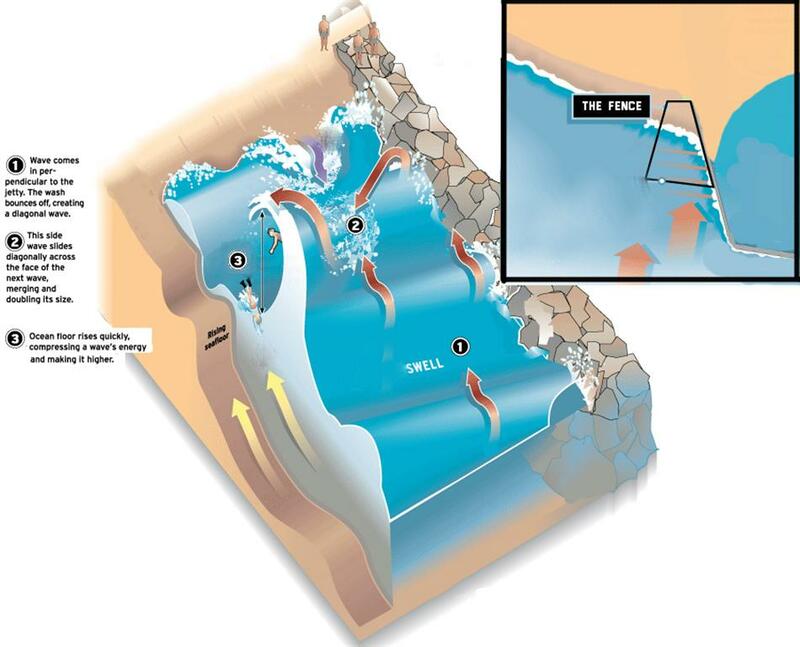 We could solve 2 problems at once - moving the sand off Kings Beach and plonking it back on the more southerly beaches (Pipe, Avo's, Millers etc) would get those breaks back to prime conditions, whilst returning Fence to her former glory. Anyone want to lend us some front-end loaders? ?